The buck stops with the chief minister for law and order, not the Union home minister. 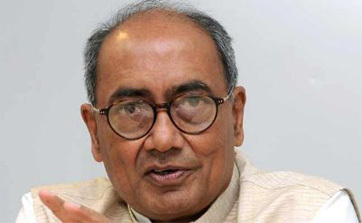 But P Chidambaram must stop treating this as a law and order issue and tackle the tribals’ problems, says Digvijay Singh. THE recent incident in Dantewada wherein the Maoists killed 76 CRPF jawans has triggered a heated debate about the establishment on one side and the Naxalites on the other. One section calls for strong action against the Naxalites, even calling them terrorists and urging the use of armed forces against them, while others defend the action of the Naxalites to the extent of justifying it. Hours and hours have been spent on the debate by many people, be it senior politicians, journalists or political analysts. I doubt if any one of them has ever been to Jagdalpur, leave alone Dantewada or Dandakarnya, which has almost come under the control of the Maoists. Both sides, I feel, are quite off the mark. Maoists, at the most, are misguided ideologues who have lost faith in the system and feel that the only way to deliver is through the barrel of a gun. But the sheen of that political ideology appears to be wearing off when we see traders, forest contractors, industrialists and mining companies carrying on their business without a problem — in fact, quite merrily — in the Naxalite dominated areas. The Maoists, simply, are collecting protection fees. Sometimes, we hear from Maoists sympathisers, who suspect that the real intent of the state's strong action against Maoists is to facilitate the mining giants that have signed MoUs with the state. But do we have an instance where Maoists have stopped mining operations in affected areas or have taken up the cause of the tribals for higher wages or better living and working conditions for them? If they have done so sometimes, the issue has been resolved amicably after some deal was struck. Actually, the Maoists are thriving on collecting dues from forest and civil contractors, the mining industry and other industries in the affected zone. I am told that every state government employee posted in the affected area has to give a certain percentage of his pay to them. I have always wondered about the political intent of the Maoists. They are being supported by the liberal civil society and are seen to be against religious fundamentalists. But how does the BJP win from most of the polling booths controlled by the Maoists? BJP, which has been in power in Chhattisgarh since 2003, has supported Salwa Judum and has taken a ‘tough stand' against the Naxalites still managed to get the Maoists’ support in the 2008 Vidhan Sabha and 2009 Lok Sabha elections. There are reports that in every election, the Maoists’ support goes to the highest bidder. The sitting MP from Jagdalpur, a BJP veteran, was supported by Maoists in the elections for a consideration, and when he failed to fulfill his commitment, his house was attacked by the Maoists — resulting in the death of one of the MP's sons, while another one was seriously injured. In another case, a senior tribal BJP leader in Rajnandgaon district, who had brokered a deal for the BJP with the Maoists, was killed because, again, he couldn't fulfill the commitment. He had raised the issue with the BJP leadership after the elections that his life would be endangered if the commitment was not honoured. I have known P Chidambaram since 1985 when we both were elected to Parliament. He is extremely intelligent, articulate, committed and a sincere politician — but extremely rigid once he makes up his mind. I have been a victim of his intellectual arrogance many times, but we still are good friends. In this case, I have differed with his strategy that does not take into consideration the people living in the affected area who ultimately matter. He is treating it purely as a law and order problem without taking into consideration the issues that affect the tribals. When I raised these issues with him, he said that it was not his responsibility. I strongly believe in the collective responsibility of the Cabinet, and as home minister, it is his responsibility to take a holistic view of the issue and put it up to the Cabinet rather than opt for a narrow sectarian view. The home minister is also a member of the core group. AS FAR as law and order is concerned, the buck stops with the chief minster, not with the home minister. The Centre provides central forces at the request of the state government and their deployment is the responsibility of the state government. In this incident, where was the state police? I believe it was represented only by a head constable. Why is the home minister taking the flak when it is the chief minister who should be answering the questions? We can't solve this problem by ignoring the hopes and aspirations of the people living in these areas. Are these people getting the benefits of public distribution system, MNREGA, NRHM and other pro-poor policies? Are our forest policies, mining policies, land and water policies people-centric? What has happened to the historic, revolutionary pro-tribal legislation of Panchayat (Extension to Scheduled Areas) Act (Pesa)? Would any state government gather the courage to empower the tribals through enforcing Pesa? Can you solve the Naxalite problem without the people's support and only through the police or paramilitary or armed forces? We should consider raising a battalion from within the tribals of that region by lowering the physical and educational requirements. What we need is not educational standards but the capacity of physical endurance and knowledge of the terrain. The CRPF, mostly recruited on the strength of physical requirements, won't be able to deliver in that terrain. Then, it is an utter failure of intelligence if agencies didn't know about the movement of 600-1,000 Maoists in that area. I also haven't understood why we are not trying to learn from the Andhra Pradesh experience of adopting pro-poor policies and closely targeting the Maoists leadership. In spite of the fact that Maoists' Central Committee mostly consists of leaders from AP, particularly the districts of Khammam and Warangal, the state has been able to control the growth of Maoists in AP. In a civilised society and a vibrant democracy, ultimately it is the people who matter and I have always believed that the people are the solution. This problem can only be solved by empowering the people who live in that region, who today are at the receiving end from both sides, while the state and civil society is debating things in the media. We should be paying more attention to their issues of livelihood and governance rather than converting the serene and calm environment of Bastar into a battlefield. Ultimately, whether the bullet is fired from a Naxal’s gun or a policeman's, the victim is an ordinary Indian citizen. (The author is general secretary of AICC and former chief minister of Madhya Pradesh. Views are personal). Shouldn't we undo the injustice done by the British to the forest dwellers?